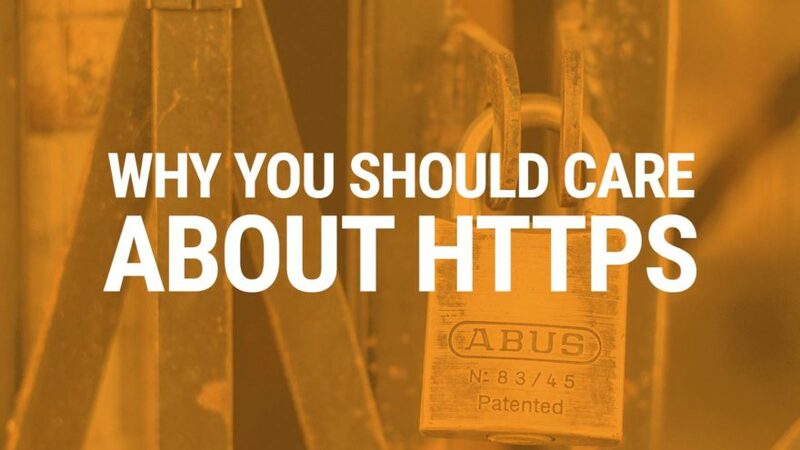 WordPress and any other website platform offers support for a secure connection through HTTPS. That means the little padlock in your browser turns green or yellow in order to give you the assurance that your data is not being intercepted between your computer and the server. While this approach is still imperfect, it is a vast improvement to enhance the overall security of the internet browsing experience. 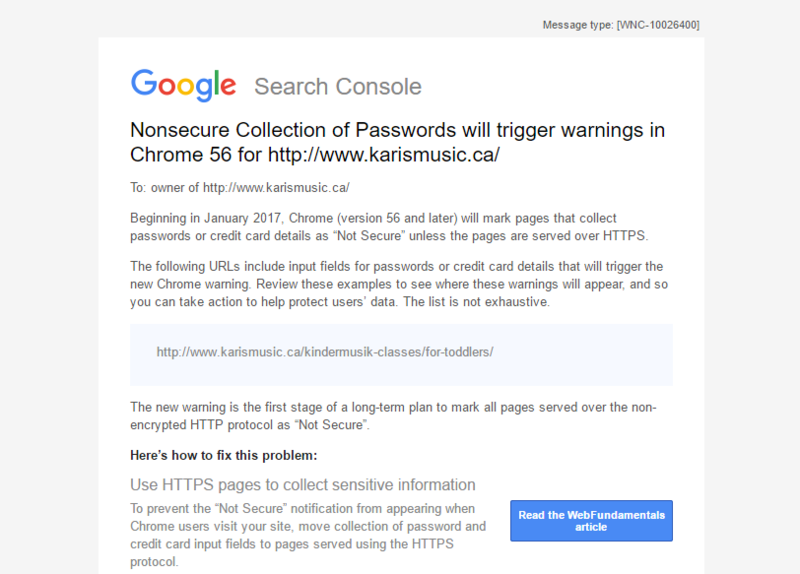 Google has been a big proponent of securing websites because of their overall concern for an accessible and secure internet. Recently, I came across a notification from Google that helped me understand how serious their recommendations could be for small business websites. 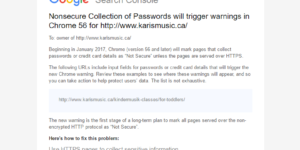 Google has already signaled that it will prefer secure sites to non-secure sites in search results (to what extent, we don’t know), but now they are saying that through Google Chrome, they will actively alert users when form fields are asking for information on a non-secure site. This is vitally important to any website that counts on contact forms, lead gen forms, newsletter signups, or a basic login. That’s pretty much all of the sites I work with! Think of how detrimental a warning could be to your conversion rates and the ultimate impact on your bottom line. For me, this is the nail in the coffin of the non-secure website. I will be actively recommending securing all websites from here forward. I have been working with Godaddy’s WordPress product as well as Wp Engine, which make SSL dead simple. They go out of their way to make it as easy as possible, though you will have to pay about $70/yr. Let’s Encrypt is the new kid on the block changing the SSL game. They offer free certificates, but installation needs to be handle by a developer. Beyond this, hosts like Siteground are starting to incorporate Let’s Encrypt into their ecosystem. Go team Open Source! Talk to your web host. Some hosts aren’t as easy to use, but they will point you in the right direction since they stand to make a few bucks from the transaction. Good luck securing your site and let us know if you need any help.